The latest version of Shift is out and we’ve packed quite the punch with this one. The following extensions have been updated in Shift. To enable extensions on our Advanced mode go to Settings > Extensions and toggle on your extension(s) of choice. Have a burning question about Gmail? Check out the Shift Gmail Hub for tips and tricks to getting the most out of Gmail. 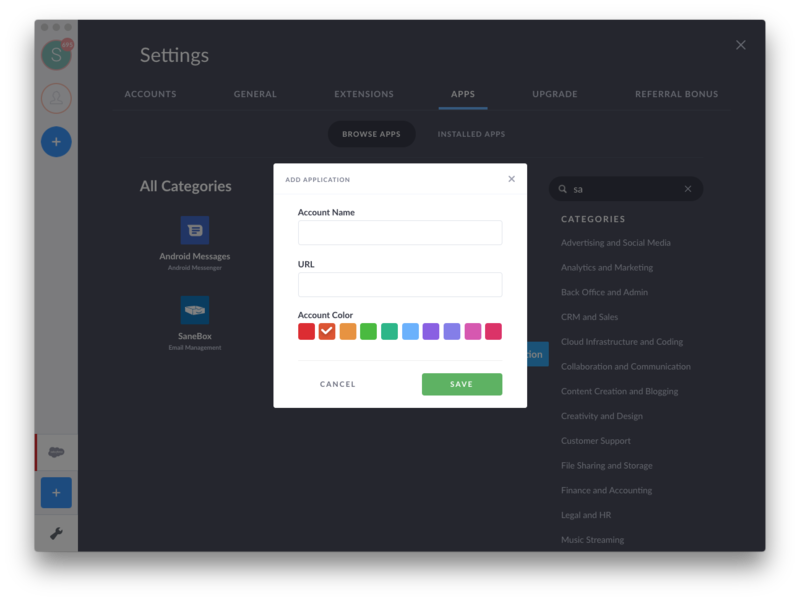 We committed to helping you get the most out of Shift, so we’ve added support for custom domain apps such as Jira and Salesforce. To add a custom domain app head over to Settings, select the app you wish to add and sign in with your custom URL. Love Shift? Shout it from the rooftops and spread the word any way you can, whether that’s through Email, Facebook, Twitter or our newest additions WhatsApp, Linkedin, and Facebook Messenger. After downloading a file in app, Shift will keep the .download extension. This has been resolved to ensure that the .download extension is removed after the file is downloaded. Now, you’ll be able to know when you have unread messages in Slack and reply to them at your convenience. Whether you’ve opted for the lighter side things, or chosen to go dark, Shift will now remember your theme settings even after you quit and reopen Shift. Resolved to prevent special characters from being shown in the preview of search results in Unified Search. When typing in input fields inside Shift, the blinking cursor disappears. This has been resolved to ensure that this no longer occurs. When composing emails in Outlook, Shift will reload the interface causing the email to be lost. This bug has been fixed to ensure that Outlook does not reload in this way. If a customer makes an error typing in their Outlook email during the onboarding flow of Shift, Shift will register the email as “undefined.” This has been resolved to ensure that Shift will register the Outlook account regardless of typos. 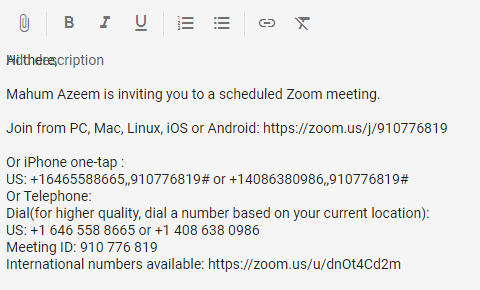 As seen below, Zoom overlays text in a meeting invite in Shift. This has been resolved to prevent this from occurring in Shift. Choosing the wrong type of mailbox during the Shift set up process will force an error in Shift and cause the app to become unresponsive. Now, if a mistake is made during the primary account set up process, the customer may go back and correct the error. 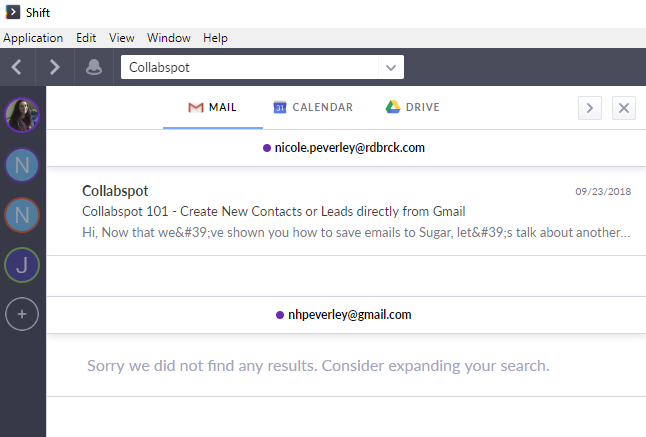 The Collabspot extension in Shift has been updated to the latest version: 2018.9.10.914. Selecting a Google Doc via Unified Search will open the document in Shift, regardless of whether the “open Google Docs in Chrome” setting is enabled. This has been corrected to ensure that Shift behaves according to settings specified by the client. Regardless of whether the “Open Google Docs in Chrome” setting is enabled, creating new Google Docs in Shift causes a browser window to open. This has been resolved to ensure that Shift behaves according to the settings specified by the user. Resolved to ensure that expanding the Outlook compose window behaves as expected instead of opening a browser window. We’re committed to providing a streamlined, beautiful user experience in Shift. That’s why we have blocked all Outlook ads from appearing in the Shift interface. When adding a Google Inbox account, the page will no longer redirect to the Microsoft login screen. This has been resolved to allow customers to create emails via the Outlook compose button. Resolved to ensure that Office 365 accounts remain logged in inside Shift. We automatically set all apps to auto-hibernate in order to save the processing power of your computer. However, when Spotify is connected to Shift and set to auto-hibernate, the app will stop playing music when Spotify is forced into hibernation mode. This has been corrected to ensure that Spotify keeps playing after the app is hibernated. Resolved to allow Shift users to access Spotify as intended. Resolved to ensure that Shift no longer crashes when the “Login with Google” option is chosen in Hubspot. After quitting and reopening Shift, users are asked to re-login to Hubspot. The smaller login window remains open after clicking on the extensions tab. When opening a new email in Office 365 in a pop-out window, the email opens in the browser instead of a new Shift window.